This exceptionally clean and comfortably furnished condo overlooks the ninth fairway of the beautiful Lakes Course at Blacklake and is just steps from the pro shop. Check-in at the pro shop for golf, get your cart and get back to the condo for your clubs. The condo has everything you need for a great holiday! It is available for nightly, weekly, or monthly rental. Black Lake Golf Resort is located on California's sunny Central Coast between Santa Barbara and San Luis Obispo, and welcomes golfers of all levels. Blacklake, Avila Beach Golf Resorts and several other local Central Coast courses offer discounted golf for our guests. You don't have to be a golfer to enjoy this quiet and serene area. Great weather year around - average annual maximum temperature is 68.7 F. Nearby, visitors will find a wide variety of interesting day trips, including the picturesque Morro Bay, Hearst Castle, Solvang, wineries, shopping, deep-sea fishing, and more. Owners live at Blacklake and manage the vacation rentals. You will find the condos updated, clean, fully furnished and equipped with all the amenities you need to enjoy a short stay or a month long holiday. Many of our guests return year after year. We are responsive to any request and deal with our guests directly. Experience the difference of an owner managed vacation rental! Blacklake Golf Resort is a beautiful area - rural, quiet and serene, with mature landscape. Our weather is great and lets us play golf year round. It's a short walk to the Blacklake pro shop or there are several courses nearby. 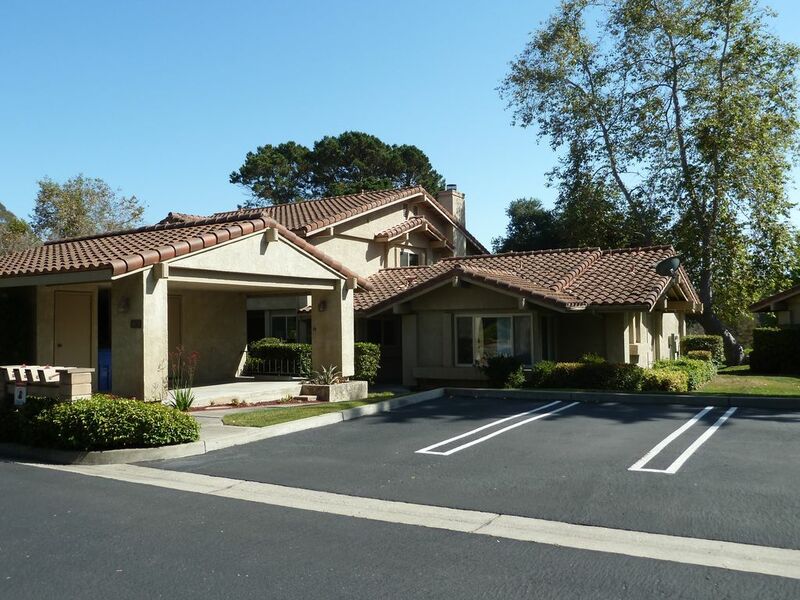 It's a short drive to the San Luis Obispo or Santa Maria airports and about an hour to the Santa Barbara airport. The condo is fully equipped with amenities you will be happy to see in a vacation rental. We have many return guests who enjoy a holiday here each year. Starter supplies of paper products, seasonings, salt and pepper, and more. Place was immaculate, had everything I needed to feel at home while waiting for our new home nearby to be finished. Candace was very pleasant and made sure we had a comfortable stay. The house is very neat, has no clutter. The golf course view is nice and everything is just peaceful. Love it! The condo was beautiful, clean and comfortable! Great golf course view from the patio. It was quiet and relaxing. We rented from Art & Candyce in the past and were impressed by the quality of their property and their customer service. We were totally satisfied with everything! I don't know what you are asking here. An absolutely gorgeous, clean, and comfortable condo. There were numerous amenities we did not expect. All the fine touches made us feel right at home. The homeowners are very congenial and were available at all times if you needed anything, which we didn't because they supplied everything from bathroom necessities to spices (and the local morning paper). The property is situated in a beautiful area, surrounded by trees and golf courses, close to the pool/spa, clubhouse, the Five Cities, beaches, restaurants, wineries, Melodramas, to mention a few. Candyce sent us coupons for different activities. We can truly highly recommend this property to anyone. You won't be disappointed. Loved everything about it. Very clean. Had everything you need in condo. Excellent location for golf and pool and hot tub. Close to beautiful beaches, interesting restaurants and wineries. Beautiful hills. Close to San Luis Obispo, Solvang, and Santa Barbara. Candyce was fantastic to work with and great book with things to do. This is a wonderful golf condo. Great golf course views, super-clean and organized, quiet and serene, all the amenities you need and the owner, Candyce, is amazing. We will definitely be back. 15 golf courses within an hour's drive (discounts for our guests at several), beaches nearby, great day trip to Santa Barbara on the Amtrak, shopping and Thursday night market in San Luis Obispo (20 minutes north), Deep Sea Fishing at Avila Beach or Morro Bay, wine tasting at Foxen Canyon, Paso Robles area, Edna Valley, Santa Ynez (all within an hour's drive), live theatre at several nearby locations and scenic drives in any direction. You will find plenty to see and do! Fine Print: Rates listed are for two guests with a one week minimum unless shorter term rentals specified. Additional guests, additional charge. As most of our rental requests are for longer stays such as weekly or monthly, subject to availability we sometimes offer shorter term rentals a couple weeks prior to arrival date. Currently we are offering minimum three night stays during April and May. Please contact us directly for availability and rate quote for your specific situation. Maximum of four guests. Maximum rental period is 60 days/two months. For stays less than 30 nights, San Luis Obispo County requires a 12% Transient Occupancy Tax. Stays over 30 nights are exempt from this tax. Cancellation policy: Please ask the owner or check their rental agreement when booking the property. Signed Rental Agreement and deposit required to confirm reservation. Security/Damage Deposit, SLO County occupancy tax (if required) and full balance due 30 days prior to arrival. Information specific to your confirmed stay will be included in your Rental Agreement.